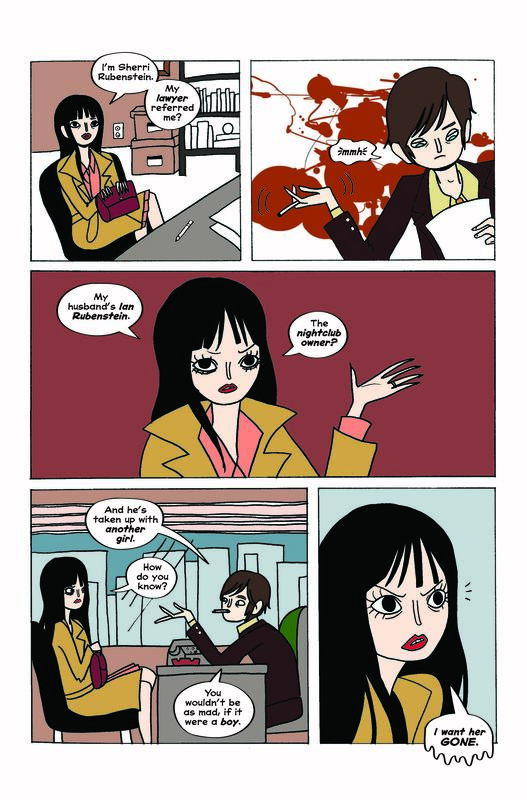 The creator of ‘My Pretty Vampire’ and ‘Nurse Nurse’ discusses the story she drew for Alex de Campi’s romance anthology, the romance genre, what it’s like working with another comics writer and more. 2017 saw the publication of My Pretty Vampire, which may be Katie Skelly‘s most acclaimed book to date. 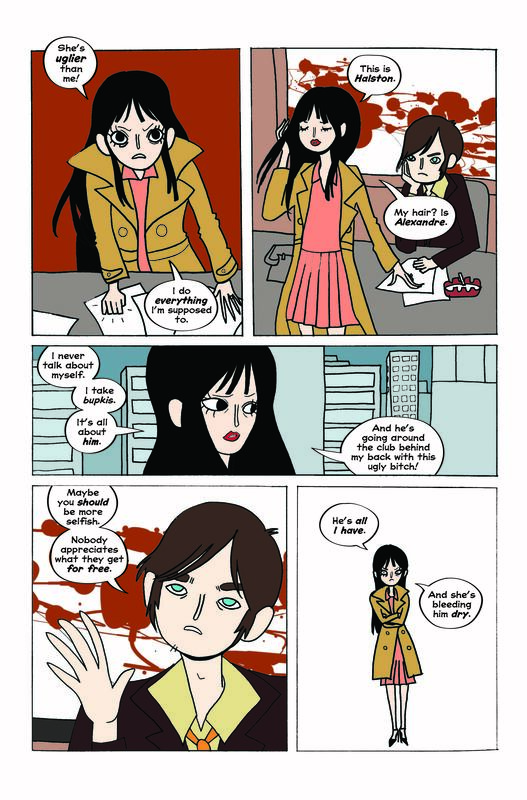 The writer-artist best known for books like Night Nurse and Operation Margarine has always worked on her own projects, so it was a surprise to some of us when it was announced that she would be collaborating with writer Alex de Campi on Twisted Romance, the new anthology series out this month from Image Comics. Their story “Old Flames” opens the first issue of the series, which is out this week and I asked Skelly a few questions about the project, genre and how it fits in with her body of work. How did get involved in Twisted Romance, and what made you say yes? 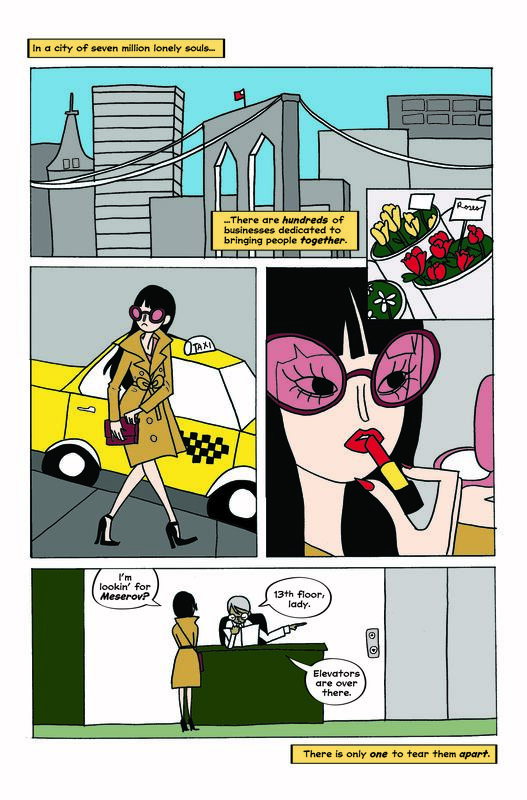 Alex de Campi and I became friends last year, and she hit me with an idea at the right time. I think because we have so much in common, like our love of a particular breed of euro-sleaze film, it wasn’t so much a question of if we’d work together, but when. I’m hoping we can work together again very soon. Tell me about Heartbreak Incorporated. Heartbreak Incorporated is a private investigation service with a little supernatural muscle behind it. Alex can speak better to this, but the idea was actually inspired by real life “mistress dispelling” agencies in China. What was interesting for you about working with a writer on a project? Because that’s not something you tend to do. Did it require you to work very differently than you’re used to? Correct, to this point I’ve only ever drawn scripts I’ve written. My style is very informal, so it was quite different to work with someone else’s very specific vision. I liked the challenge, though, and it felt like a lot of the technical problem solving was done for me, so I just had the pleasure of drawing. It allowed me to try a lot of different things. 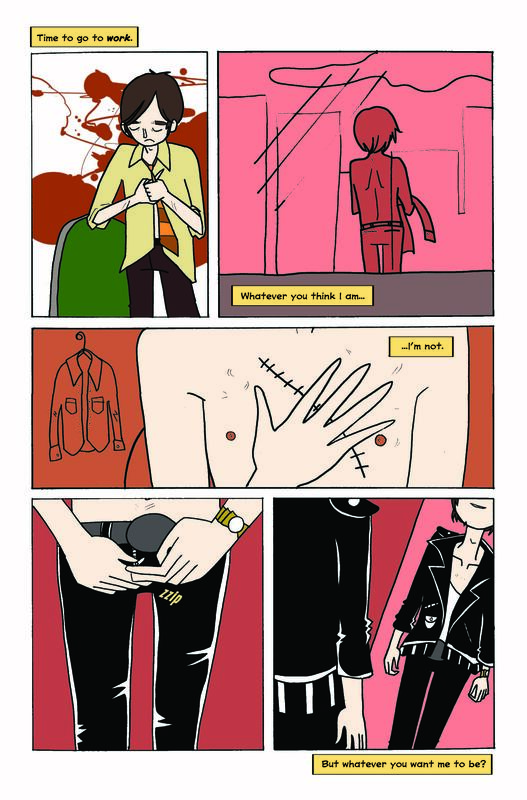 I think of a lot of your work is very much about how this style and aesthetic that you have interact with darker subject matters, and I wonder where in your mind this story fits in with your work and the comics people know you for. I think “Old Flames” will fit right in – it’s a bit grim but it’s really nice to look at. I really got to have fun with color on this one, so the sort of grotesquerie gets to hide a little behind spectacle. As part of that you’re also really interested in genre. 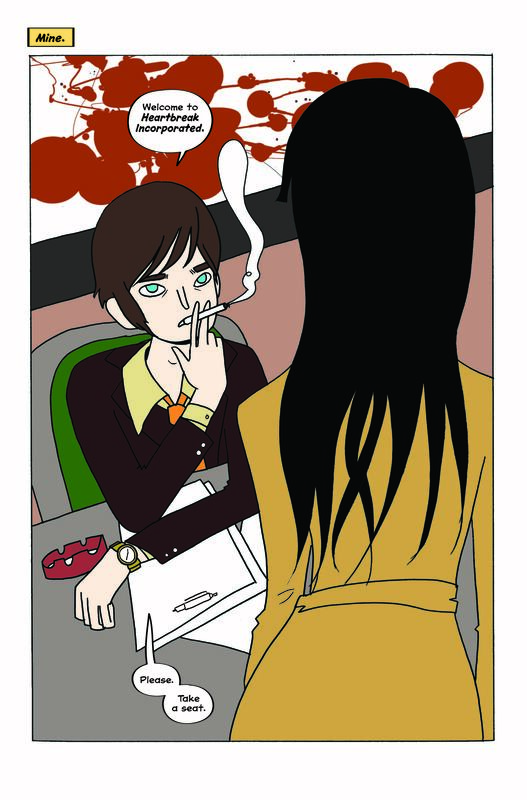 And in working on this with Alex, has it changed your thinking about romance comics? Romance comics can basically be anything. It really has its roots in pulp, with maybe some of the more sensational aspects of that removed. 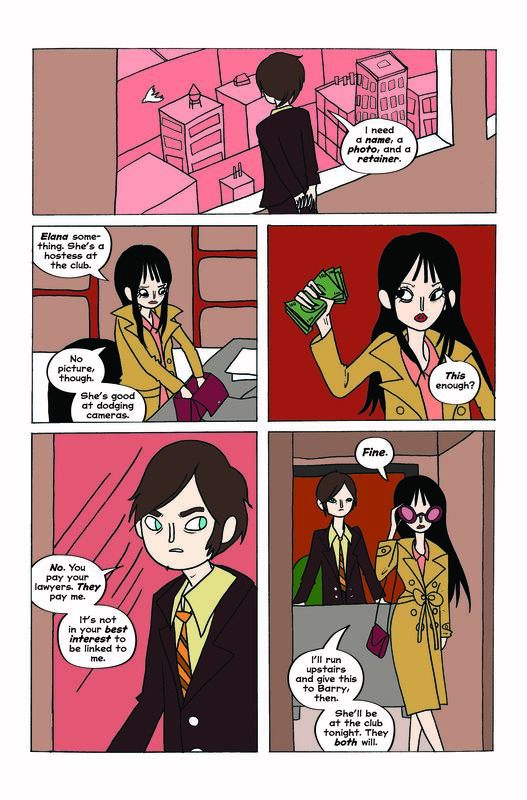 I think Alex brought the pulp element to romance comics on this project. It was very inspiring to see. I’m writing a new miniseries that I’ll be drawing myself. It’s based on a true crime and it’s very upsetting. So more great stuff from me, as always.